Surprise surprise, it can be and let me show you how I did it. I bought these three little candle votives. But oh how plain are these? 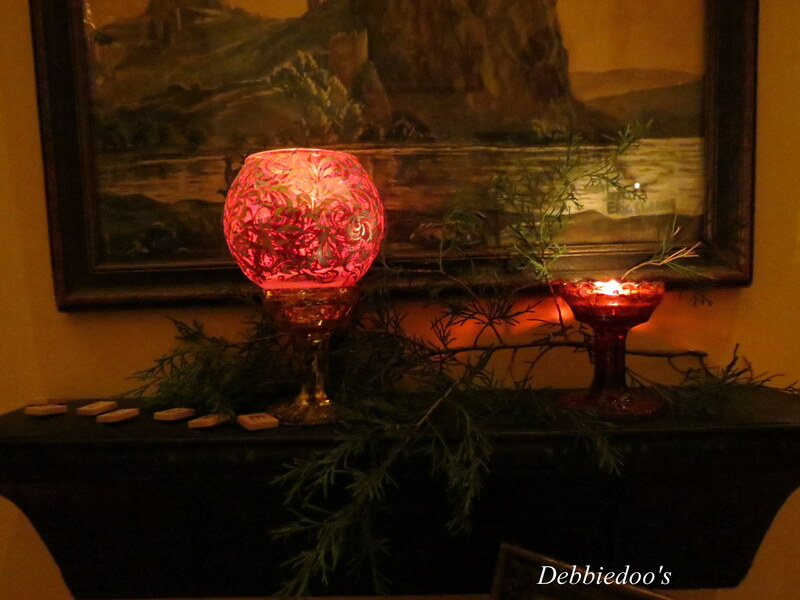 Sure you can stick a colored candle in them..
in fact maybe in a quick video demo…. and I mean quick, 5 minutes of your time. and the smallest of things they notice. I was playing with my night time settings on my camera. Plus these votives…are meant to be shown in the evening. 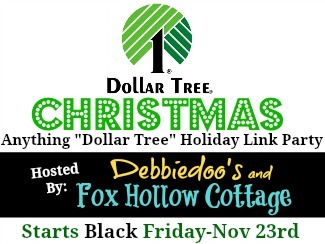 DOLLAR tree Christmas next Friday. If you are not a regular here, I sure would love to see you back again. Surely you can come up with something Cheryl:) I know you can! Cute. Waiting for the how. Ooo I love these! Can’t wait to see how to make them. I was just next to a Dollar Tree today and didn’t go in…what was I thinking?? I’ll have to go back. Debbie! I likely say this way too often but I love this project the best! Great idea. They are so pretty Debbie! I was at the Dollar Store the other day so I’m ready for the party! HI Debbie Dear! How in the world do you come up with these ideas? This is so cute and love your pretty table too. 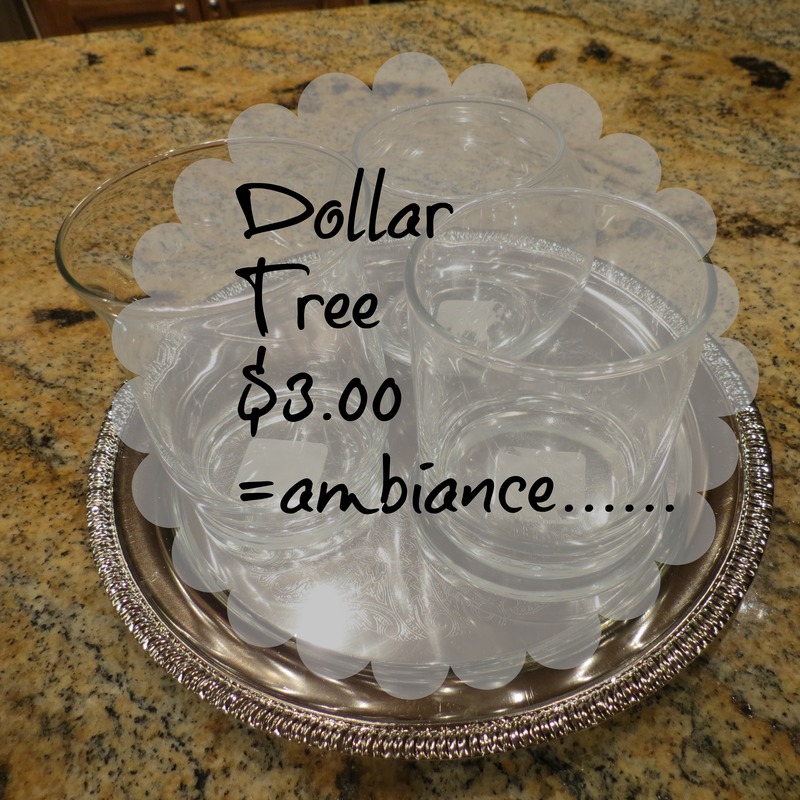 Molly and I went to Dollar Tree last weekend just to pick up a few things to make so that we could come back over to your blog and party. I’d better get busy making what I came up with! 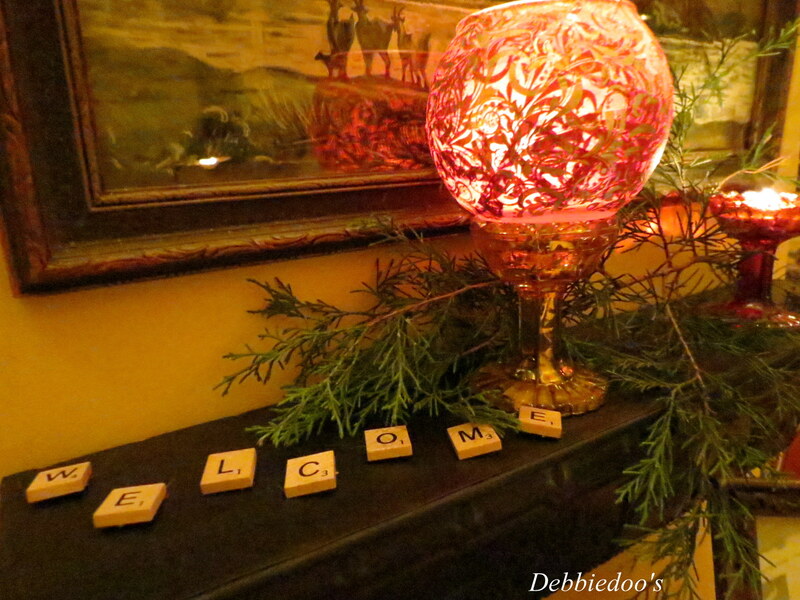 Bunco is so much darn fun, I am hoping to host a party after the new year. And when someone says something nice, like one of my BFF’s husbands who told me “your house always smells so good”, I never forgot it. Made me feel good. These are really pretty! I can’t wait to see how you made them! Love the votive holders! Can’t wait for your tutorial. I have to get over to the Dollar Store for the challenge! So pretty!! Looking forward to the tutorial! I agree with your friends about the details. I ‘m also anxious to see the votive makeover. I think I’ll love it, based on the looks of it. 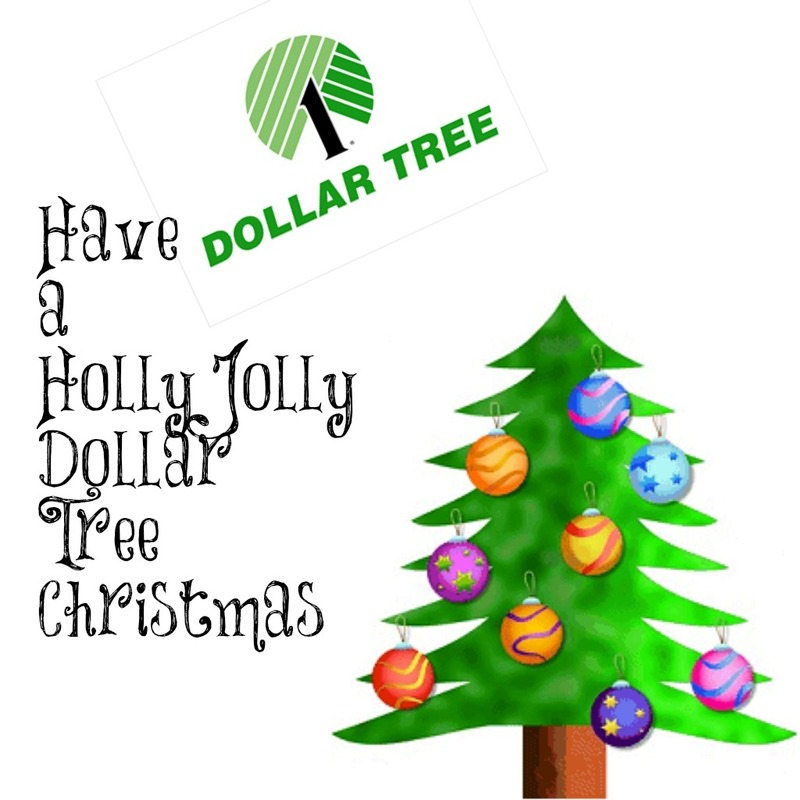 It’s going to be fun to see what we can do with Dollar Tree buys for the holidays. 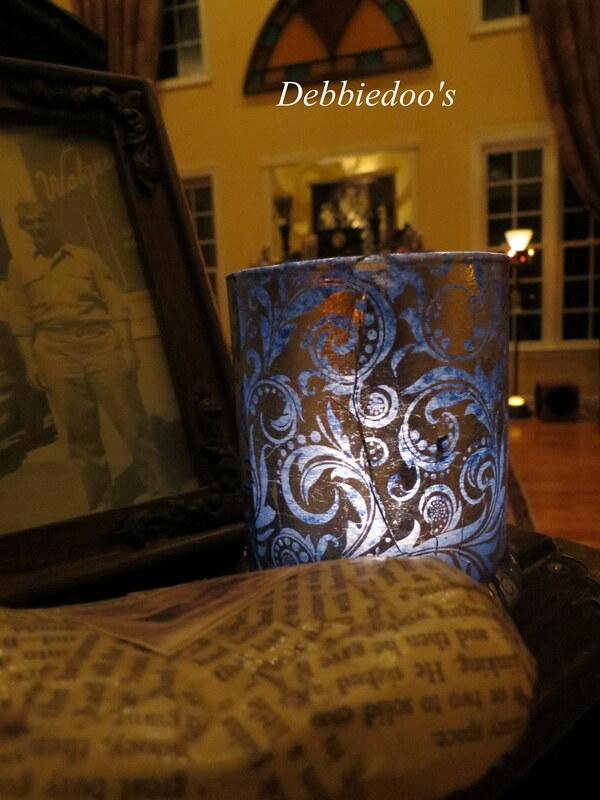 I still love my pillar candles wrapped in sheet music! Maybe I’ll get some out today! I’m having a giveaway….stop by soon! Hugs! They look pretty to me as is, but I trust you and can’t wait to see the ambiance you created! Not for this one, I do have a dollar tree video on youtube and this may be in it. No tutorial though. I am sitting here searching for a link to a tutorial/video…I guess I have to wait…but it is so beautiful….